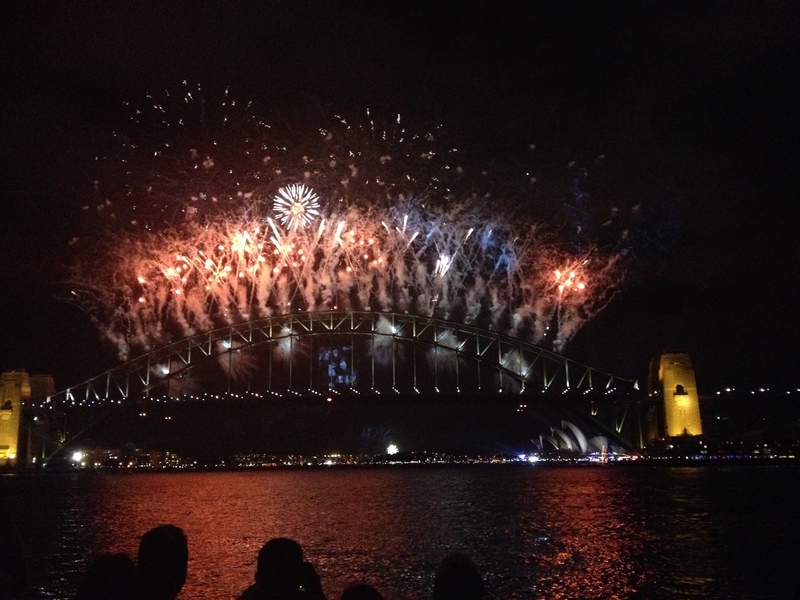 If you happen to be in Australia for New Year’s Eve and you don’t go to Sydney to watch the fireworks I will have to assume that you’re a terrible person. Without a doubt it has been my favourite New Year’s celebration; even topping the time I was nearly exploded in Amsterdam by a stray firework. So, how did it go down? Don’t you worry, I’m about to go through all the details, including a top tip for where to watch. Our day started out pretty early, with a group of seven of us all having to through the showers and eat breakfast and pack a bag for the day. 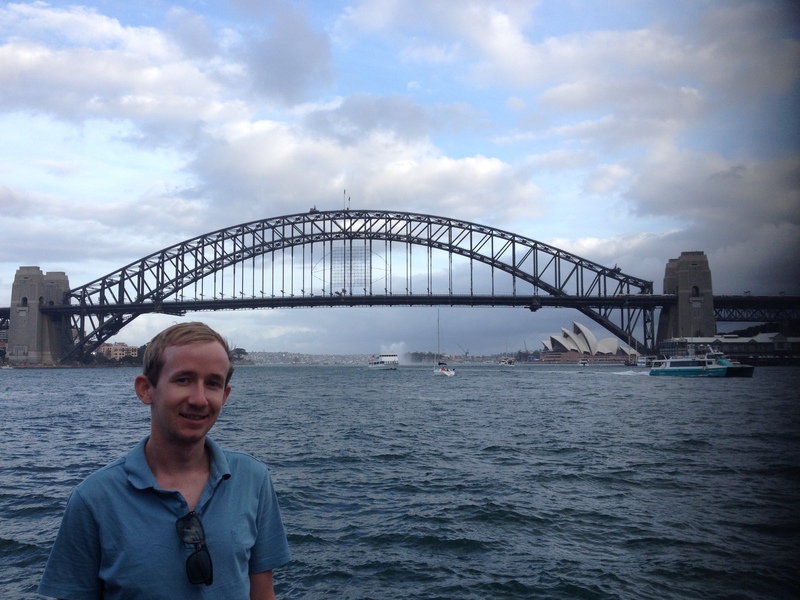 We left the hostel at around 9:30am to catch the train to North Sydney and walk down to Blue Point Reserve. Time for that top tip; most travelers will look to place themselves in the Botanical Gardens and based on the rumours we heard on the day it sounds like a bit of a nightmare; people camping out, being told that they wouldn’t get in, queuing up for three hours. If that doesn’t sound like your idea of fun then I suggest making the trip out to Blue Point. There’s a bit of a crowd in the morning and it does fill up through out the day but if you walk to the end of park, a little around the corner the crowds are thinned out, you can still get a great view and the cliffs provide cover from the sun. 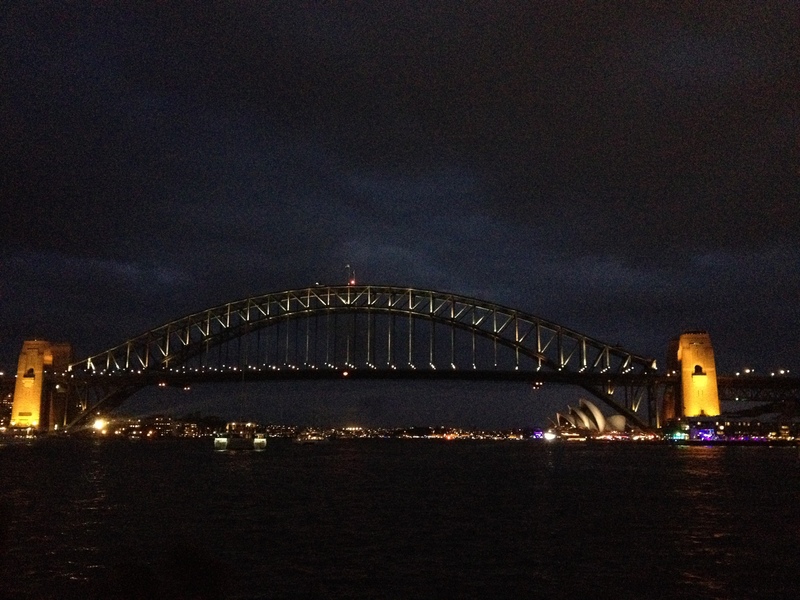 Yes, there is a lot of waiting around to be done and you perhaps don’t need to be there as early as we were but for the view we had of the Harbour Bridge and the Opera House made it more than worth it. 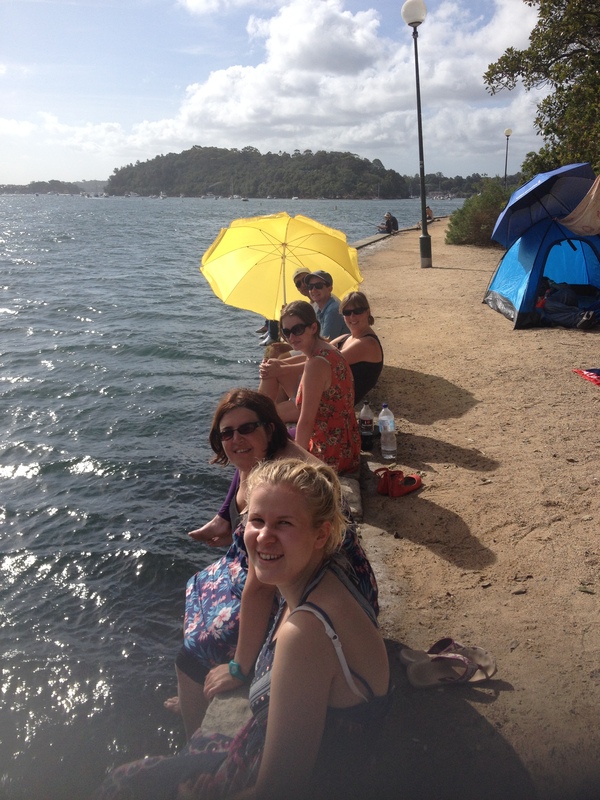 We took picnic food, plenty of water and sunscreen and spent the day relaxing in each other’s company; talking about successes of 2013 and our hopes for the coming year, singing songs from Disney films and napping along the harbour shores. The day drew on and the festivities started to begin, an air show over, under and around the bridge, fire tug boats pumping hoses and cruise boats parading through the harbour. At 21:00 the family fireworks display began and all along the water pontoons had been placed to launch rockets into the sky. It was an incredible start and the noise was about as close to a war as I ever hope to come. Finally, the main event; what we’d been waiting almost 14 hours for and boy were we impressed. The countdown started from 10 seconds and the crowd joined in and on the shout of “Happy New Year!” the bridge erupted; rockets launched from the arch spraying a rainbow into the sky. 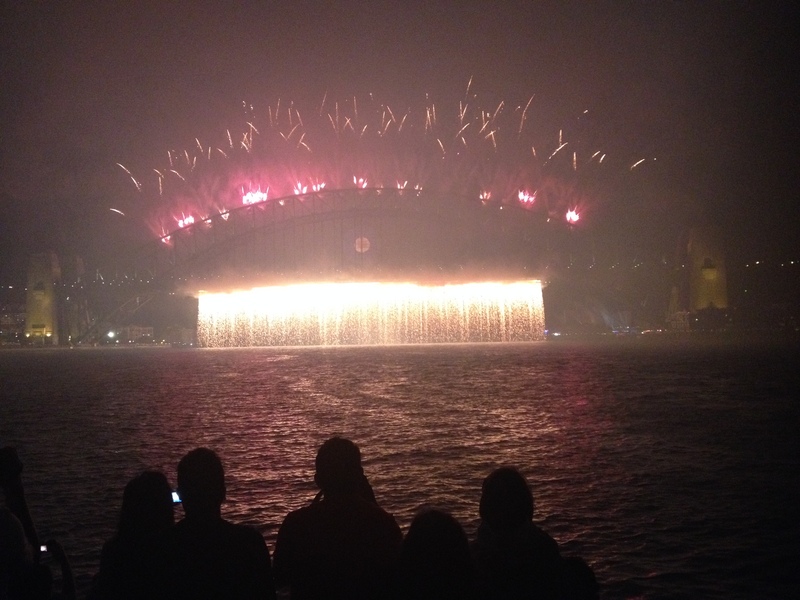 Now, I used to believe that “if you’ve seen one firework, you’ve seen them all.” Sydney proved me wrong. 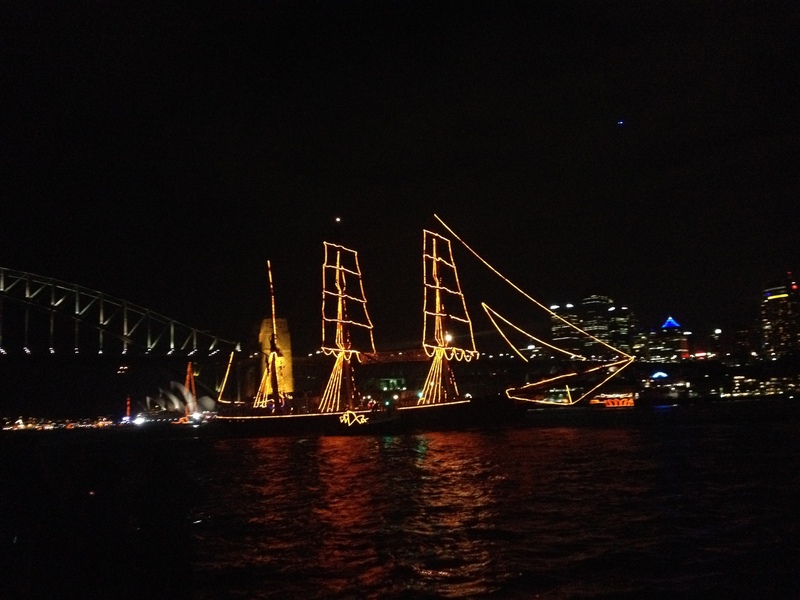 After an incredible display of explosions in the sky a golden waterfall appeared beneath the bridge, pouring into the harbour below. This was in preparation for the grand finale and the sky was lit up in a mass of bangs and flashes and well-wishing was passed between friends and strangers alike. It seems crazy now that we waited all that time for a 20 minute display but I would do it again for sure. It was an experience that will stay with me forever and one that I hope one day I get to repeat. And with that, I wish you all the best for the coming year and hope that you do everything in your power to make it as fulfilling as possible!